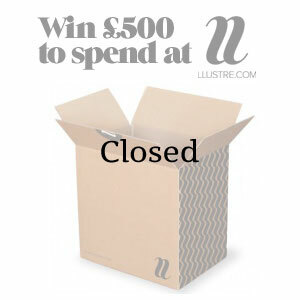 Help us know you better and you could win £500 to spend at LLUSTRE.com. Heart Home are working with our friends over at LLUSTRE.com, a new members-only site to discover and purchase beautiful design for your home from a handpicked selection of the world's leading designers. "Launching in late spring 2012, we will bring our members a daily mix of exclusive designs, limited edition pieces and unmissable offers at up to 70% off. LLUSTRE.com has teamed up with Heart Home to bring its readers the exclusive opportunity to win £500 to spend at LLUSTRE.com." ***COMPETITION CLOSED***. There were 1,023 entries to win this prize but there can only be one winner. The winner, as selected by random.org, is Christine Northrop. Congratulations, we will be in touch to arrange the prize being sent to you. Thank you to everyone else who entered and stay tuned for more competitions.